September means one thing for most people—back to school. And, whether you’re sending your child back for another year, or heading off to college, we have products to make the return to school more exciting. Our Stainless Lunch Jars make the perfect accessory for lunch and snack time. The stackable inner bowls that go inside an insulated container make it easier than ever to have fresh, home-cooked food away from home. Our line of conventional rice cookers and water boilers make simple food that much simpler for the busy and budget conscious college students. 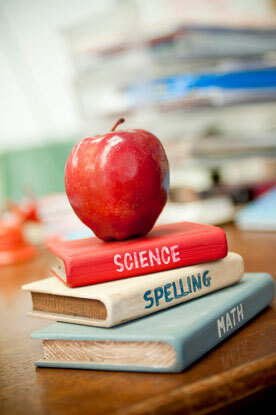 Whatever your back to school needs are, we’re confident we have the product to meet them. Wishing you and yours a great school year full of fun and learning. As summer tapers into fall and the days shorten, our local markets fill with new and different produce. We slowly see the end of fresh summer stone fruit and heirloom tomatoes, and welcome a wide variety of squash, cabbage and beans. Our light cravings from long warm days transform into a need for heavier fare to warm us through the colder months. As with summer, all things must come to an end. But with one end, comes a new beginning–fall. At Zojirushi, we welcome this change and look forward to cooking a brand new collection of recipes with seasonal fall produce. The month of September holds two very interesting celebrations in Japan. The first is Keiro-No-Hi, Respect For The Elderly Day that is on September 17th. It is similar to Grandparent’s Day celebrated in America except in Japan all elderly people are recognized and respected on this day. The second celebration is Jyuugo-ya where we recognize the harvest season and decorate our homes to witness and enjoy the full moon. Traditionally, people enjoy tsukimi dango, or “moon-viewing rice dumplings” and use seasonal fruits and vegetables as decorations and bring a table outside to gaze at the beauty the full moon brings. September Is National Rice Month! In 1991 the Federal Government in conjunction with the Department of Agriculture appointed September to be National Rice Month. The goal is to promote rice use and consumption. This month you will find displays and information about rice facts supplied by the USA Rice Federation throughout retail stores. Rice has always been an important part of the Japanese diet, and the US has seen a rapid growth in rice consumption in the past few years. There are two reasons for this growth. 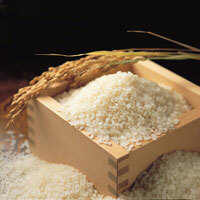 One is the expansion of certain ethnic groups which have always had rice as a part of their daily diet. The second is the increased exposure Americans get to new foods and cultures. In honor of National Rice Month, we are posting one rice recipe a day on Facebook and Twitter, so be sure to “Like” or “Follow” us! In September, Zojirushi would like to spotlight the Stainless Mug SM-KHE36/48. This is a very ingenious beverage container. Designed to keep the contents warm or cold for hours, it also has many features that make this easy to use and amazingly durable. If you list all the things you’d want in a portable mug you would find those elements in this Zojirushi Stainless Mug: a flip open lid with safety lock that prevents the lid from opening accidently, a stopper that disassembles easily for thorough cleaning, and a Slick Steel™ finish interior that prevents stains and corrosion. 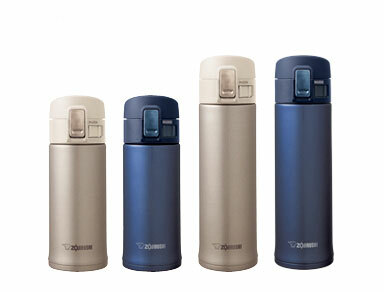 Quite simply, the Zojirushi Stainless Mug is the next evolution in travel mug design and function.